Israel’s defense industries are a great technological engine, providing the local tech sector with the best human capital, according to Harel Locker, chairman of defense contractor Israel Aerospace Industries Ltd. (IAI). “Without the defense industries Israel will lose its competitive economic edge,” he said Monday, speaking on Monday at Calcalist’s Conference on Israeli Industry, held in Tel Aviv in partnership with Bank Leumi and Bazan Group. Government-owned IAI is Israel’s largest aerospace and defense company, developing and manufacturing defense systems including aerial defense, anti-missile, unmanned aerial systems, intelligence and cyber systems, drone disruption, land robotics, and marine systems. IAI spends $829 million (NIS 3 billion) a year on research and development, according to Mr. Locker, and has registered more patents in the past year than any other Israeli company. 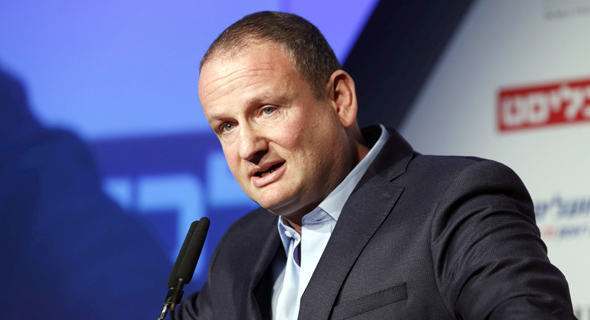 “We are Israel's largest tech company, with a turnover of $3.8 billion (NIS 14 billion) and $2.7 billion (NIS 10 billion) in annual exports,” he said. Mr. Locker said the next frontier for Israel’s defense companies is the civilian market. “At IAI, we are directing our thoughts to converting our technologies for civilian uses,” Mr. Locker said. “I am confident we can create a wealth of new solutions from our existing technologies,” he said, adding that the field of robotics is one example for how military technology, such as drones, is adopted by civilians. Mr. Locker added that the cybersecurity technologies used by IAI in all its defense technologies could be applicable for non-military uses. “The line between defense technology and civilian technology has blurred,” Mr. Locker said.